EPA releases “Clean Power Plan” proposal – and also proposes CO2 standards for modified and reconstructed plants . . . Public comment period on “Waters of the U.S.” proposal extended into October . . . DOE proposes changes to procedure for review of LNG export authorization applications, releases environmental studies for comment. EPA Issues Proposed Rule to Limit CO2 Emissions from Existing Power Plants. On June 2, the Environmental Protection Agency (EPA) issued a proposed new rule pursuant to section 111(d) of the Clean Air Act (CAA) that would establish state-by-state carbon dioxide (CO2) emission reduction goals for existing fossil fueled electric generating units (EGUs). Under the proposed rule, EPA would require states to meet CO2 emission rate “goals” or targets starting in 2020 on a state-wide basis. The emission rate goals are based on reductions EPA has determined are achievable from 2012 levels using a variety of both at-the-plant and outside-the-plant measures. States would be required to submit compliance plans to EPA. Those plants could use a range measures to meet those goals, including heat rate improvements, demand-side energy efficiency, plant retirements, and renewable energy. EPA projects that the Proposed Rule will result in power sector emission reductions of 30 percent from 2005 levels by the year 2030. A pre-publication version of the proposed rule is available at http://www2.epa.gov/sites/production/files/2014-05/documents/20140602proposal-cleanpowerplan.pdf. For a more in-depth analysis see the June 2, 2014 VNF Alert on the proposed rule for existing power plants at http://www.vnf.com/2895. EPA Proposes CO2 Emissions Limits for Modified and Reconstructed Power Plants. On June 2, EPA also released a proposal to set federal CO2 emission performance standards for modified and reconstructed power plants. The proposed rule would apply to existing power plants that are modified or reconstructed (as those terms are defined in the Clean Air Act and EPA’s regulations) after the date on which the proposal is published in the Federal Register. In addition to proposing emission limits for modified and reconstructed sources, the proposed rule also offers a number of adjustments to the applicability provisions of EPA’s recently proposed (and not-yet-finalized) CO2 New Source Performance Standards (NSPS) for new EGUs. A pre-publication version of the proposed rule is available at http://www2.epa.gov/sites/production/files/2014-05/documents/20140602proposal-modsreconstructs.pdf. For further analysis and information, see the June 5, 2014 VNF Alert at http://www.vnf.com/2951. EPA Extends Comment Deadline for the “Waters of the U.S. Rule.” EPA extended the comment deadline on its proposed rule to modify its interpretation of “waters of the United States” under the Clean Water Act. The new comment deadline is October 20. The proposed rule, which was issued by EPA and the U.S. Army Corps of Engineers, would expand the streams, wetlands, and other waters considered “waters of the United States” and therefore subject to permitting requirements under the Clean Water Act. For more information on the proposal, see the March 27, 2014 VNF Alert at http://www.vnf.com/2321. Bureau of Ocean Energy Management Announces Three Actions to Advance the Development of Renewable Resources on the Outer Continental Shelf. On June 3, the Department of Interior’s Bureau of Ocean Energy Management (BOEM) issued a first-of-its-kind lease for marine hydrokinetic technology testing off the coast of Florida. The lease will allow the lessee, Florida Atlantic University’s Southeast National Marine Renewable Energy Center, to test turbines powered by ocean currents. On May 27, BOEM published a Call for Information and Nominations to solicit nominations for companies interested in developing wind energy projects in a proposed lease area off the coast of Long Island, New York. In addition, BOEM announced the commencement of its environmental review process for a proposed floating wind turbine project off the Oregon coast. For more in-depth discussion of the BOEM actions, see the June 4, 2014, VNF Alert at http://www.vnf.com/2946. EPA’s Clean Air Scientific Advisory Committee (CASAC) Recommends Tightening Ozone Standards. CASAC panelists recommended on June 4 that the EPA lower the national ambient air quality standard (NAAQS) for ozone from 75 parts per billion (ppb) to 60-70 ppb. Several panelists had previously favored 65 ppb as the upper limit of their recommendation to EPA, but the Committee ultimately agreed on the wider 60-70 ppb range. The public-health-based standard was last updated in 2008, and the agency has a mandate under the Clean Air Act to review its NAAQS every five years. 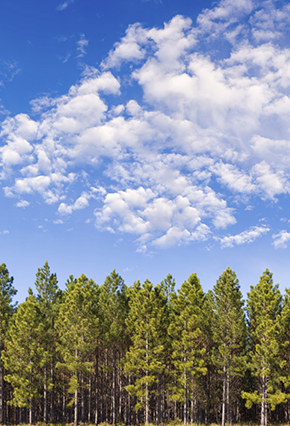 CASAC further announced its support for a secondary environment-based ozone NAAQS, which EPA is also expected to address in its upcoming ozone NAAQS review. DOE Releases LNG Export Reform Plan and Related Environmental Reports. On May 29, DOE announced its plan to modify the approval process for LNG export facilities that would export gas to countries with which the United States does not have a free trade agreement. Under the new plan, DOE would no longer issue conditional decisions for new facilities, but instead wait to act on applications until a proposed export facility has obtained a final NEPA decision from the Federal Energy Regulatory Commission. Along with the proposal to modify its procedures, DOE issued two reports for public comment. The first report, on lifecycle greenhouse gas emissions from exporting LNG, concluded that export of U.S. LNG for European and Asian power production would not increase lifecycle GHG emissions compared to current regional emissions. DOE also issued a supplementary environmental report as an addendum to provide the public with further information about the environmental impact of increased domestic shale gas development induced by export. Finally, DOE announced plans to update a study on the economic effects of exporting LNG at various quantities. DOE’s lifecycle emissions report is available at http://energy.gov/fe/downloads/life-cycle-greenhouse-gas-perspective-exporting-liquefied-natural-gas-united-states and its addendum report on environmental impacts is available at http://energy.gov/fe/downloads/addendum-environmental-review-documents-concerning-exports-natural-gas-us. Both studies are open for public comment until July 21. EPA Says Regional Emissions Trading Programs No Longer Automatically Satisfy State Air Quality Standards. EPA announced a proposed rule on May 29 that would withdraw prior determinations that participation in one of the current regional cap-and-trade programs – including the Clean Air Interstate Rule (CAIR) and the NOx SIP Call – presumptively satisfy Reasonably Available Control Technology measures and other statutory requirements for state implementation plans for meeting certain National Ambient Air Quality Standards (NAAQS). The proposed rule affects state implementation plans for meeting EPA’s 1997 ozone and fine particle air quality (PM 2.5) NAAQS. The rule change is based on EPA’s new reading of a Clean Air Act clause that requires sources “in the area” to adopt certain measures for the area. A pre-publication version of the proposed rule is available at http://www.epa.gov/airquality/ozonepollution/pdfs/20140529ractracmproposal.pdf. EPA Grants Three-Month Extension for 2013 RFS Blend Requirement Compliance. EPA issued a final rule on June 6 that gives refiners until September 30 to blend 16.55 billion ethanol-equivalent gallons of biofuels into petroleum. The original compliance deadline was June 30. EPA has not yet issued 2014 volume requirements and said that refiners should know those requirements before the end of the 2013 compliance period. The agency noted that the 2014 rulemaking has been protracted in part due to the more than 300,000 public comments received, but added that the annual requirement would be issued in the near future. DOE Announces a $217 Million Grant to NuScale for Small Modular Reactor Project. On May 28, the Department of Energy (DOE) announced a $217 million grant to help NuScale develop at 45-megawatt modular reactor. The grant is part of the DOE’s Small Modular Reactor Licensing Technical Support Program. The $452 million grant program is intended to foster development of nuclear reactors that are 300 MW or less in capacity – approximately one-third the size of current nuclear power plants. EPA Decides to Apply More Stringent PM2.5 Implementation Plan Regime Proactively Only. In a final rule published in the June 2 Federal Register, EPA directed states to submit implementation plans for the 1997 and 2006 PM2.5 National Ambient Air Quality Standards (NAAQS) under the regime provided under the Clean Air Act’s Subpart 4 requirements, rather than the more lenient Subpart 1 requirements. Originally, EPA had directed states to use the Subpart 1 provisions, but the Court of Appeals for the District of Columbia Circuit invalidated this approach in 2013, holding that the plans and attainment designations must be submitted pursuant to the Subpart 4 provisions. NRDC v. EPA, 706 F.3d 428 (D.C. Cir. 2013). Notably, the June 2 final rule directs a modification in the implementation regime only on a prospective basis, rather than applying the more stringent measures retroactively. The approach adopted by EPA could presage how the agency will address implementation of the Cross-State Air Pollution Rule – for which certain implementation deadlines have already passed. Senate Panel Holds Hearing on Klamath Settlement. On June 3, the Senate Energy and Natural Resources Committee held a legislative hearing on S. 2379, the “Klamath Basin Water Recovery and Economic Restoration Act of 2014.” Witnesses included John Bezdek, Senior Advisor to the Deputy Secretary for the Department of the Interior; and, Don Gentry, Chairman of the Klamath Tribe. The common message from the witnesses was that the settlement to be implemented in S. 2379 provides a guide to sharing the pain during drought years, increasing river restoration, decreasing water demand by ranchers and boosting economic development for the Klamath Tribes. It would also allow for delivery of water to national wildlife refuges that today have no water allocation under federal delivery projects. Additional information is available at http://www.energy.senate.gov/public/index.cfm/hearings-and-business-meetings?ID=8d5191fa-0a81-465d-bb3c-80f4fc4c9982. House Subcommittee Holds Hearing on Loan Guarantee Program. On May 30, the House Energy and Commerce Oversight and Investigations Subcommittee held a hearing entitled “Department of Energy Oversight: Status of Loan Programs.” Witnesses included Peter Davidson, Executive Director of the Loan Programs Office at the Department of Energy; Rickey Haas, Deputy Inspector General for Audits and Inspections at the Department of Energy; and, Frank Rusco, Director, Energy and Science Issues, U.S. Government Accountability Office. According to committee-issued documents, the hearing was intended to review “what has DOE done to improve management and oversight of its loan portfolio and what more should be done to improve program management.” During the hearing, Ranking Member Waxman (D-CA) asked whether the goals of the recently announced EPA regulations on existing power plants would be assisted by the Loan Guarantee Program. Mr. Davidson stated that the program is aimed toward applications such as making coal facilities cleaner, carbon sequestration, and the potential of chemical looping. Rep. Waxman yielded his remaining time with a statement of full support for the DOE Loan Programs Office’s efforts. Additional information is available at http://energycommerce.house.gov/hearing/%E2%80%9Cdepartment-energy-oversight-status-loan-programs%E2%80%9D .